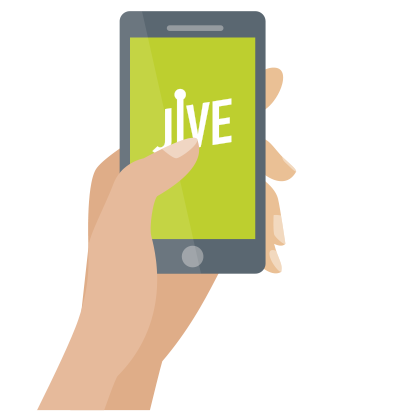 Take your business communications with you on your mobile device with Jive Mobile. Talk, text, chat, or video anywhere, not just the office. Enhance your productivity and never miss another call. Transform your employees’ mobile devices into an extension of their office phones or into standalone cloud phones. 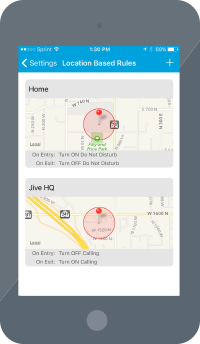 Install the Jive Mobile softphone application (free with the purchase of a Jive Voice seat). Being out of the office shouldn’t slow you down. Facilitate easy communication and collaboration between employees, suppliers, and clients. 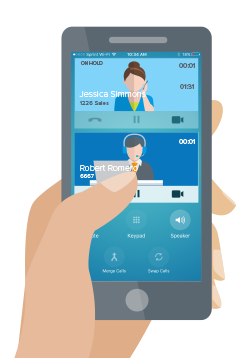 Access calls, voicemail, video, chat, and text through one mobile interface. 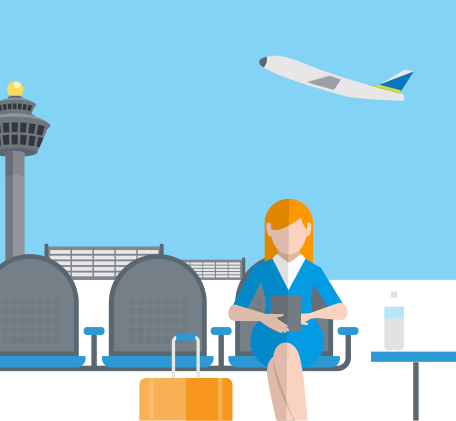 Select from Jive Mobile’s suite of collaborative tools—including voice, video, and chat—to optimize your effectiveness if you’re in the office, at the airport, or at home. Chat with other users in your phone network. 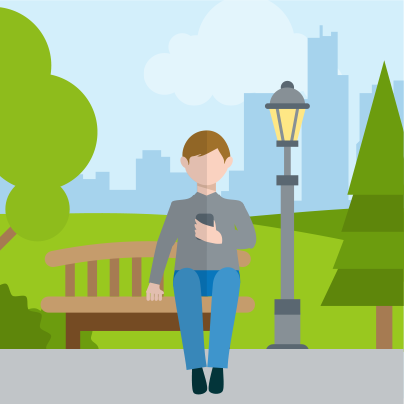 Send and receive SMS messages on your business phone number. Cut down on travel time and expenses for those important face-to-face meetings. 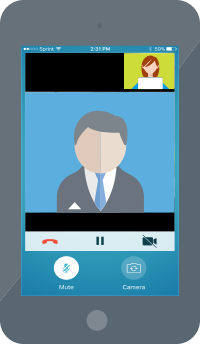 With Jive Mobile, you can start and receive point-to-point video calls on your device. Create location-based rules that automatically turns on/off Do Not Disturb and other call rules, depending on if you’re in the office or at home.